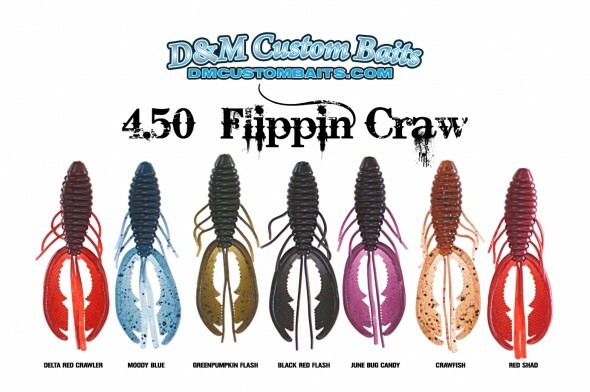 The D&M Flippin Craws feature a soft body that is large for it’s size with plenty of bulk for even large flipping style hooks. We also wanted pincher claws to fold up on the strike, making for better hook ups. 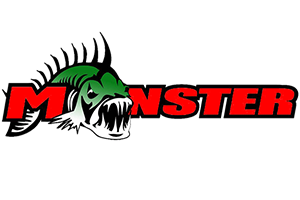 The plastic formula is super soft and floats which gives the craw the lightest movement for all the action needed for the bites. Take notice of the very small ribs on the pincers, this catches the water and the little fingers on the inside of the claws make the bait just quiver on the fall. Shake your line just the slightest of movement and the legs quiver. 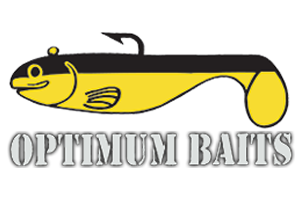 We designed the “Claw Action” with as many applications as possible in mind; Flipping, Jig Trailer, Swimming, Lift and Drop, Punching, Carolina Rig, or Split Shotting. D&M Flippin Craws are packaged with Crawfish Scent & Salt, gives the bass something just for his sweet tooth.